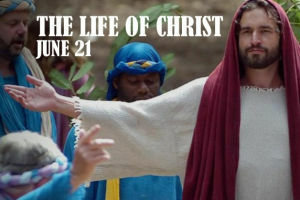 One of our small groups are having an outing to see the open air pageant ‘The Life of Christ’ held on the Wintershall Estate on Friday 21st June 10am-4pm. Tickets are £20 per person and concessions are available. They will be departing Thornhill at 8.30am and returning around 6pm. Transport will be possible at an additional cost and depending on numbers could be car share, minibus or coach. There are leaflets on the Welcome Tables or you can read more about it on their website.